The reverb sounds are lush and simply different from any other. 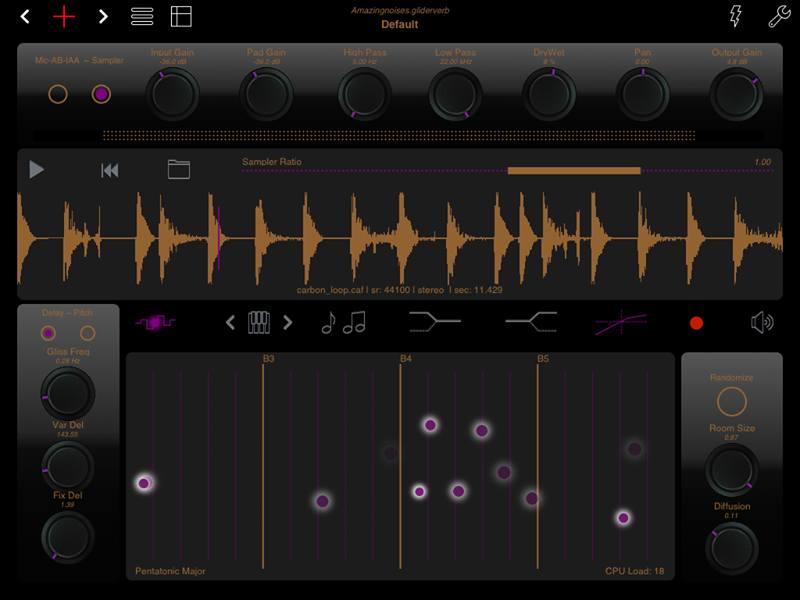 The keyboard/pad input is the iOS equivalent of the smacking your spring reverb. This is a Very inventive and creative reverb. It quickly became a favorite of mine. 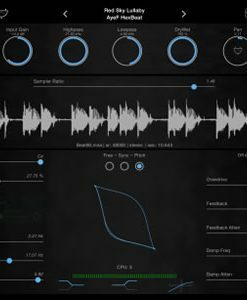 If you like iVCS3 and other great apesoft apps then this is a no brainer as it’s very high quality. However, the marketing strategy for this thing is a real stinker. Sellers shouldn’t say ‘free’ if it’s really not free. That’s simply an annoying tactic that only winds up hurting and misrepresenting this otherwise fantastic app. Never mind that this is a very cool and useful effect app. Never mind the unique and original concept. None of that matters. You should get this because it has a better icon than it had previously. Kidding. Just get it since it’s free to try. Duh! My initial reaction is that this app is great. 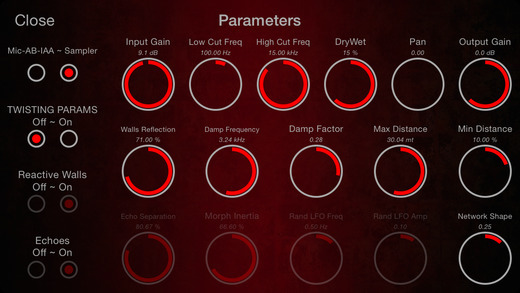 It is great for experimental, sporadic, ambient sounds. The best way to approach this app is to not expect a certain sounds. I try to make something I want but I find myself somewhere I wasn’t expecting. Keep an open mind. My only problem so far is the dark color scheme. It is nearly impossible to see anything. 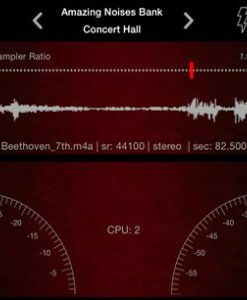 Awesome app for atmospherics, very nice work ! 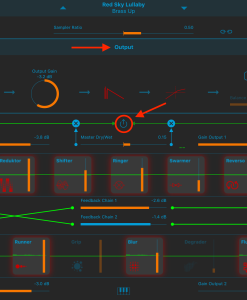 Entrancing evolving soundscapes are easily created by running a sound source through Audiobus/IAA or importing sound files to play within the app with plentiful scope via the control parameters. Surprises, hard edges, lush depths – not come across something quite like this before. Psychonaught shennagins going on in this App. Definetely one for all you sonic sorcerer’s out there! I don’t think I have ever heard a reverb anywhere that does to sound what this gem does. Much like Crystaline, it gets right at the harmonics of what it “hears”, and then goes to town with it! AUFX Space comparisons will emerge, but this has no equivalent that I have heard. 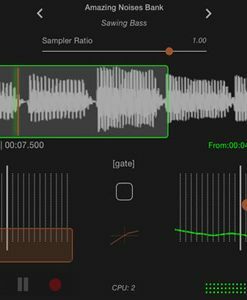 The waveform slowdown is in itself worth the IAP price. Fantastic. 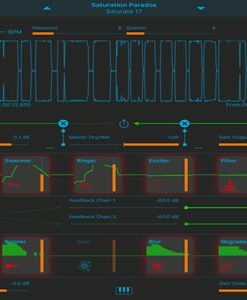 Aquesta app és un gran descobriment, ja sigui per processar una senyal en directe o bé amb el mode sampler. El nivell de detall sonor i la qualitat de sò és molt alt. Controls precisos que proporcionen resultats molt agradables. Non ci sono parole, geniale! 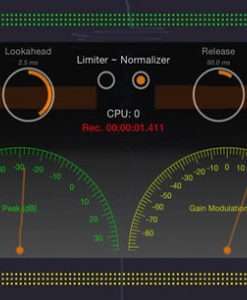 Wonderful app, easy and intuitive to work with. It was the thing i was looking for. Le son est juste excellent ! Une reverb pas comme les autres, parfaite pour creer des ambiances.